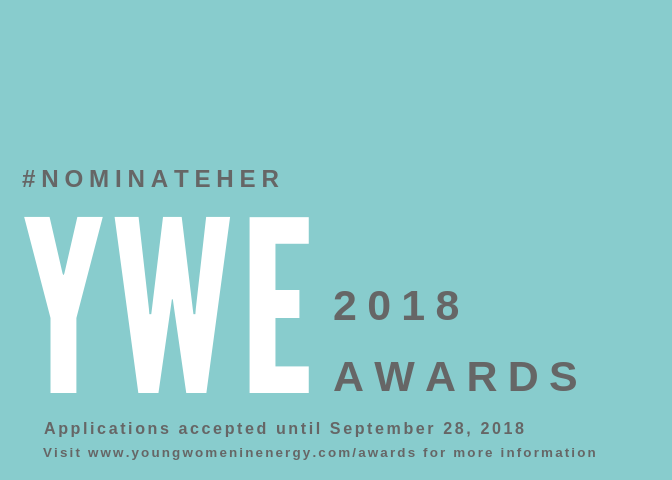 YWE’s annual awards program exists to recognize and reward Alberta’s emerging female leaders in energy who demonstrate exceptional leadership, are role models, act as catalysts for change and are changing the face of energy. We want to offer our winners visibility for their accomplishments, with the opportunity to raise their public profile and provide them with the recognition they deserve. With 42 alumni, September 2018 will mark the fifth year of the program. YWE will be looking for the next cohort of women who are going above and beyond the expectations of their job, demonstrating vision and leadership while making a difference both in industry and their communities. Beyond the awards itself, we’ve had the privilege of watching our awards alumni take on exciting projects, receive promotions and advance as leaders in the industry. We can’t wait to profile their continued success. The Awards program is YWE flagship program and seeks to recognize the diverse contributions that young women are making to our industry. YWE is unique in that we are inclusive of all disciplines across the energy industry. We encourage you to nominate an emerging female leader in your company or professional network. With your support, we can raise the visibility of women’s accomplishments and contributions to the energy industry. Award applications are open until September 28, 2018 at midnight (MST). Nominations are encouraged, please visit www.youngwomeninenergy.com/nominate.